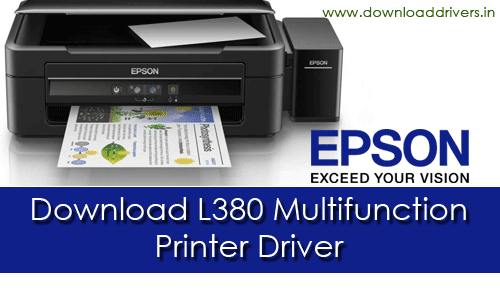 Download Epson L380 Driver : Epson L 380 printer is a new Multi-function printer. It is the best ink tank multi-function printer for office and home use. The L380 is Epson's best ink tank system printer and helps reduce your printing costs while increasing your output. We strongly recommended to the Epson L-380 Multifunction printer for your needs. Here would like to share Epson Multifunction L380 ink tank printer drivers for Windows XP, Windows 7, Win 8.1, Win 10 and Mac. The Epson L-380 drivers links are given below. You can download Epson L-380 all in one printer and scanner drivers from here for your operating system. 25 Responses to "Download Epson L380 Printer and Scanner driver"
I need to L380 adjustment/reset program software...please send me link.